Kickstarter can be a wonderful thing. It’s brought us many great products that may not have got off the ground if it wasn’t for their successful crowdfunding campaigns. But there are times when Kickerstarters fail, and it can all get very messy. Much like the Zano mini-drone disaster – a project that went so badly wrong Kickstarter hired an investigative journalist to look into it – the Coolest Cooler has also lurched from one crisis to another. And now those behind the campaign have managed to annoy backers even more by requesting extra money for a product they’ve already paid for. The Coolest Cooler completed its campaign way back in August 2014. It had gained an incredible $13.3 million from 62,642 backers in just 52 days, making it the second most-funded project in Kickstarter history. The cooler was supposed to ship in February 2015, but this never came to be. Delivery did begin in July 2015, but a strike by the factory that manufactures the motor set production behind again. In an effort to “keep production up and running,” Coolest put some of the remaning coolers on Amazon for the full $400 retail price, which upset the two-thirds of backers who still haven’t received their coolers. To make matters even worse for those who are still waiting for their product, Coolest is now offering them the chance to pay an extra $97 for “expedited shipping.” The company says it guarantees those who do opt in will receive the coolers by July; those who don’t will be probably have to wait quite a while before they see them. According to a report from Motherboard, Coolest is relying on Amazon sales to fund its remaining Kickstarter orders. 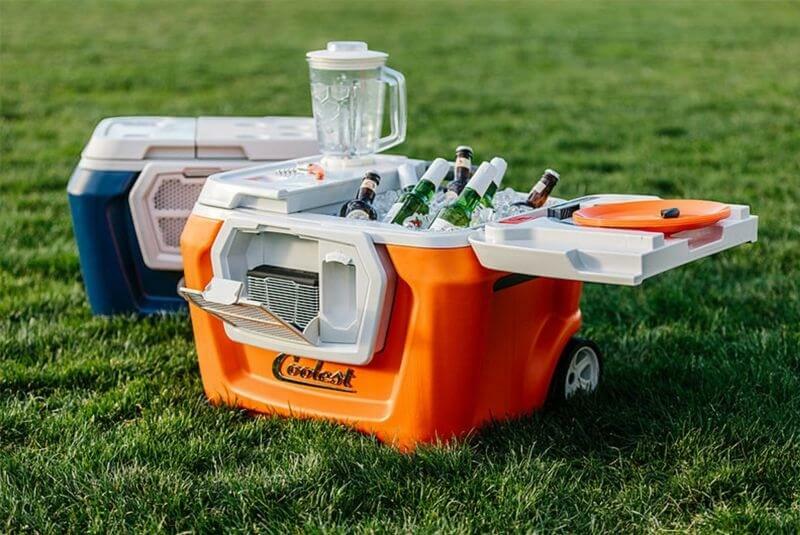 Coolest says it can ship one new cooler “for every 2 – 4 retail sales,” which means it would need to sell 144,000 coolers at full price to deliver on its initial promise, which is more Coolest Coolers than have been produced to date. "In a perfect world we wouldn’t rely on new sales to help fund the delivery of backer rewards, but in a perfect world you’d already have your Coolest," said creator Ryan Grepper.